← Badger Cull a Shambles – well there’s a surprise! Sightings of some of the most rarely seen whales on the planet have been recorded from the deck of the yacht the Celtic Mist off the southwest coast.The Irish Whale and Dolphin Group (IWDG) has photographed three beaked whales on the Porcupine Bight, about 120km southwest of Kerry. 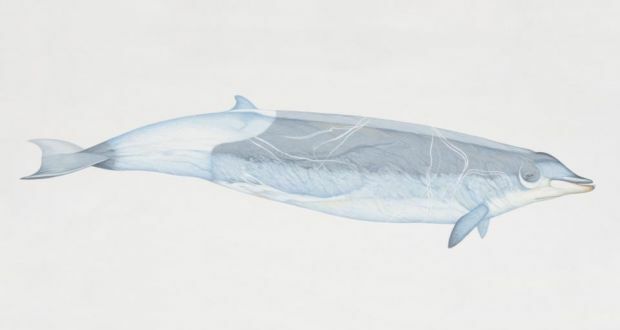 The whales are “almost certainly” what are known as True’s beaked whales, which have only been spotted alive twice before – in the Bay of Biscay and off the Canaries – according to IWDG marine mammal observer and co-ordinator Patrick Lyne. This entry was posted in Nature, Whales, Wildlife. Bookmark the permalink.